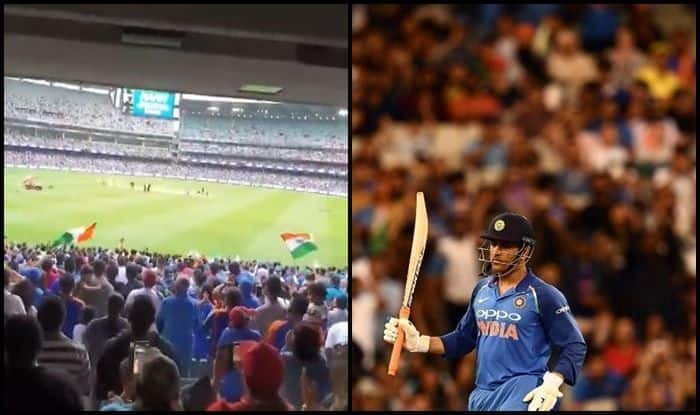 Former India captain MS Dhoni guided India to a historic victory in the third and final One Day International (ODI) against Australia on Friday at the Melbourne Cricket Ground (MCG). 3rd ODI India vs Australia: Former India captain MS Dhoni guided India to a historic victory in the third and final One Day International (ODI) against Australia on Friday at the Melbourne Cricket Ground (MCG). He was named the ‘Man of The Series’ after knocking the scores of 51, 55 not out and 87 not out across the three ODI’s respectively and the ‘Man of the Match’ title was won by Yuzvendra Chahal for his career-best six for 42. After a lowly display in 2018, Dhoni’s performances had raised uncertainties over his future but his impressive display throughout all three matches has given the men in blues a much-needed boost ahead of the 2019 ICC World Cup. The 37-year-old played a crucial role alongside Kedar Jadhav, who was 61 not-out leading the way for India’s 230 run chase against Australia for a seven-wicket victory. The triumph is a historic one for India, as they had never won a bilateral ODI series on Australian soil, and their only series win in the 50-over format came in 1985 (World Championship of Cricket) and 2008 (CB Series). Virat Kohli became the first Indian and Asian captain to win a Test series in Australia as the visitors defeated the hosts by a 2-1 margin.